 Giggenbach submarine volcano, named after volcano gas geochemist Werner Giggenbach, lies NW of Macauley volcano. The flat summit of the basaltic-to-dacitic volcano is cut by a 700-m-wide crater containing a central cone. The volcano reaches to within 65 m of the sea surface, and the summit is cut by numerous small explosion pits and craters. Much of the edifice is blanketed by dacitic pumice, and several edifice-collapse scarps cut its flanks. Large satellite cones are found on the ENE and SSW flanks, and a chain of eight small satellitic cones that fed recent andesitic-dacitic lava flows lies on the west flank. A large hydrothermal vent field was found within the summit crater.